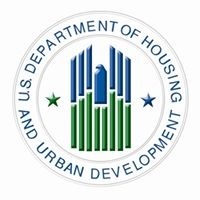 WASHINGTON – (RealEstateRama) — The U.S. Department of Housing and Urban Development (HUD) announced today that Monticello, New York in Sullivan County will receive a $500,000 grant to rehabilitate the Strong Building at 430 Broadway and build affordable housing units for low-income residents. The grant is funded through HUD’s HOPE VI Main Street Program. HUD’s Main Street Program seeks to rejuvenate older, downtown business districts in smaller communities while retaining the area’s traditional and historic character by providing grants for the development of affordable housing in existing, obsolete buildings. Smaller communities must have an ongoing Main Street revitalization effort in order to be eligible for these grants. The award will assist in the rehabilitation of the Strong Building, a prominent three-story brick building that anchors a major intersection in the Village of Monticello’s business district. One of the village’s largest buildings with nearly 20,000 square feet of commercial floor space, the Strong Building has been vacant for the past 10 years and currently has extensive interior water damage. An architectural assessment found that the exterior walls and foundation are sound, but demolition of the interior and replacement of the roof are necessary to retain its historic charm. The Main Street grant will provide financing for these activities and contribute to the reconfiguration of the building into 16 affordable housing units. The total development cost is estimated to be $1.2 million. While rehabilitating possibly dangerous vacant property, these grants may be used to install, repair, or replace capital needs items including, but not limited to, security systems/surveillance cameras, fencing, lighting systems, emergency alarm systems, window bars, deadbolt locks and doors.